The Trading Post sole mission is to bring little known fine wines and exquisite products of the Americas to a wider audience. 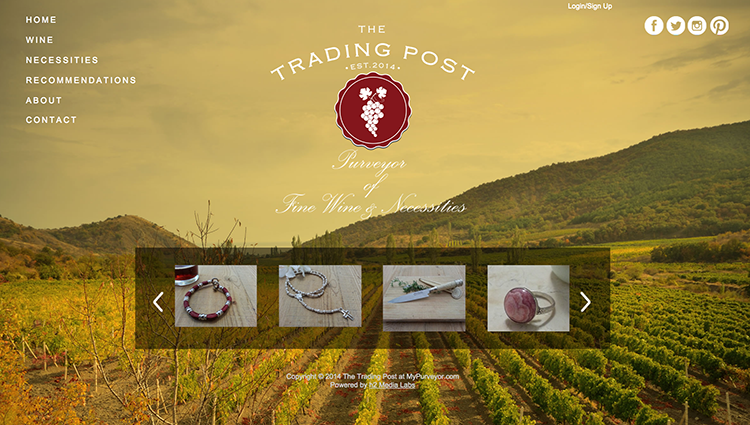 When Trading Post came to h2 Media Labs, they were a brand new business and needed a website. We worked with them to build from the ground up a website that reflected their brand’s identity with an integrated ecommerce experience.